“Abba ka haath sarr se utha tou laga jaisay unn ke saath saath ham sab ki khushiyan bhi bohat door chali gayi thi." Safdar is the eldest brother to his 5 sisters and the only hope of his mother. He had to drop out of his private college since that was a privilege he couldn’t afford after the death of his father. 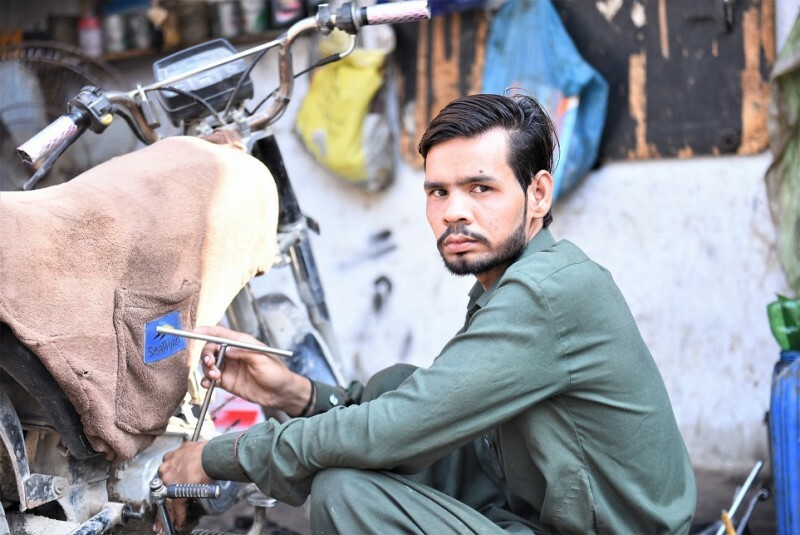 Every morning, he walks out of his house to look for work, and later repairs tyres at a nearby pit shop to ensure his family doesn’t sleep on an empty stomach. Safdar wants to bring back the sparkle in his sisters’ eyes and the smile on his mother’s face. Help him set up his own workshop so he can bring back what he lost after his father passed away.